Do think twice, Do think twice, oooh ! "Because I had a better version of 'Billie Jean' than 'Thriller'. Because I was doing 'Thriller' and I wanted to record that but 'Billie Jean' sounds better. I love Michael Jackson from the Jackson 5 right through to (adopts unconvincing Jackson voice), 'I'm bad, you know it !'. (Laughs) He's great, Jacko. I love the showbiz in America. It's like Public Enemy have the S1Ws. The Americans understand showbiz and Jacko's the king of it." The Stone Roses would sometimes break into I Want You Back (deliciously sampled by Eric B. & Rakim in 1987 on I Know You Got Soul) by The Jackson 5 during soundchecks; listen, for example, to the Lancaster University bootleg from 8th June 1989. 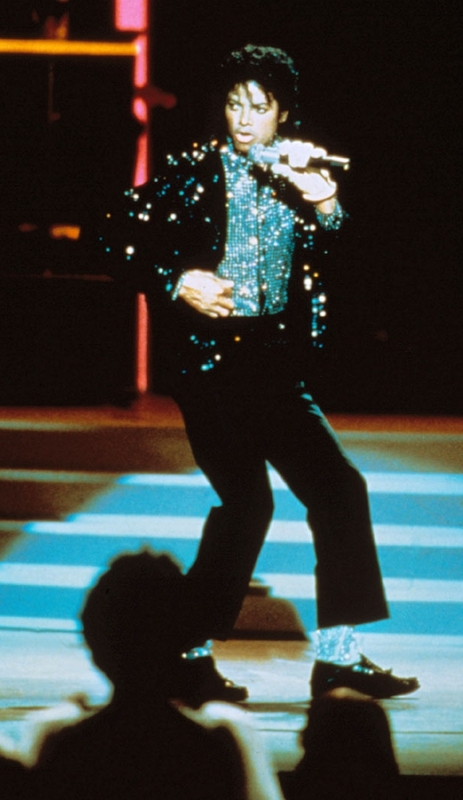 Michael Jackson performing Billie Jean, Motown 25: Yesterday, Today, Forever.